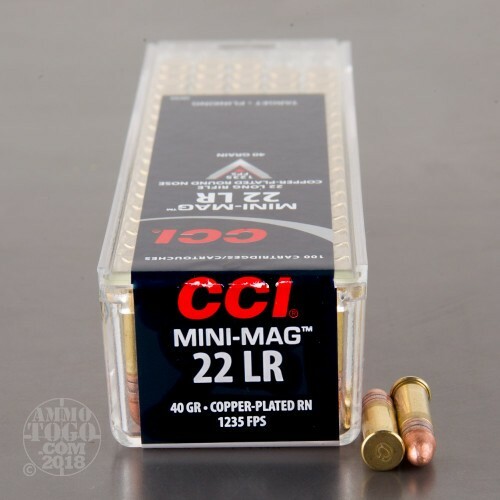 This 22 LR cartridge from CCI’s Mini-Mag line of ammunition sports a 40 grain projectile. The bullet’s copper plating means that it will spare your rifle’s or pistol’s bore from the excessive lead fouling that might have ensued a high volume shooting session, and its round nose not only makes it exceptionally aerodynamic but also improves the amount of energy it will deliver upon impact as well as its ability to penetrate targets. 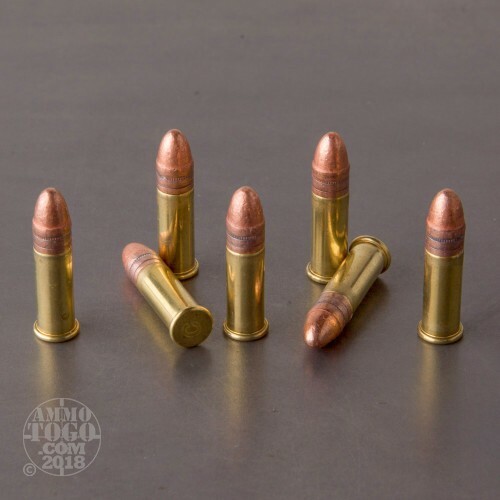 This round boasts a high muzzle velocity for its bullet’s weight, so you you will enjoy less drop while firing it. 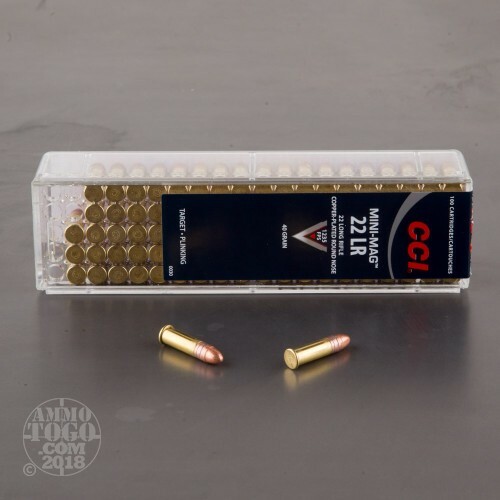 The cartridge’s sure-fire primer is non-corrosive, and its clean burning propellant will keep your action relatively clean even after you’ve fired several shots. 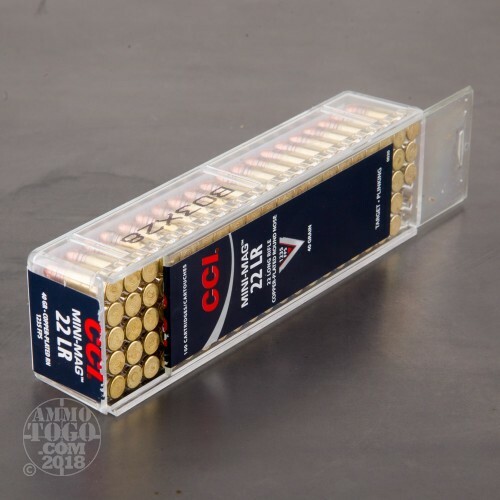 These great many 5,000 rounds will keep you busy for quite a long time, and their sturdy reusable plastic boxes are nice to have around should you ever invest in bulk loose 22 LR ammo at some point in the future.